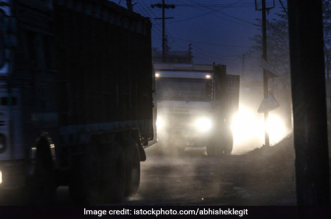 New Delhi: India’s water bodies are dying under the daily onslaught of sewage, industrial effluents, plastic and other waste being dumped untreated. Adding to this burden are idol immersions, an age-old tradition that marks the culmination of major festivals like Ganesh Chaturthi and Durga Puja. 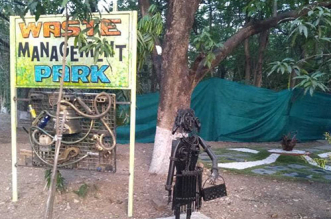 As India gears up to celebrate Ganeshotsav next month, one man from Mumbai decides to adopt an eco-friendly approach that preserves not just the tradition of immersion but also the environment. Meet 32-year-old Nilesh Tupe, a resident of Nerul, who is on a mission to ‘Save the Environment’ from the ill effects of Plaster of Paris and Clay, the two main components used for making idols of deities. 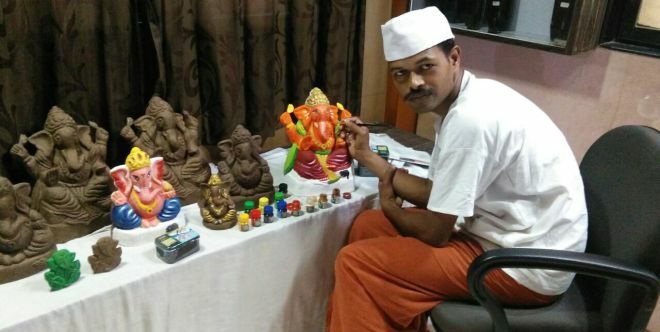 What Nilesh is doing is something unique – he is making Ganpati idols using cow dung and helping devotees of Maharashtra go green. 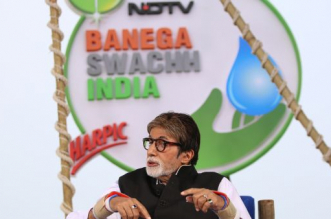 “Every festive season, it is a same old story of water pollution as hundreds of thousands of people immerse Ganpati idols made of substances like Plaster of Paris and other pollutants. These threaten marine life and our natural resources. I wanted to bring in a change to that practice by making idols using desi cow dung,” said Nilesh Tupe who has done Master Diploma in Panchagavya Chikitsa therapy from Chennai. Nilesh Tupe has especially sourced the cow dung for making the idols from gaushalas in Rajasthan. The many benefits of these green idols are that when they are immersed in water bodies it dissolves in water and produces oxygen and manure which when taken by the marine animals serves as their food rather than harming them like Plaster of Paris. 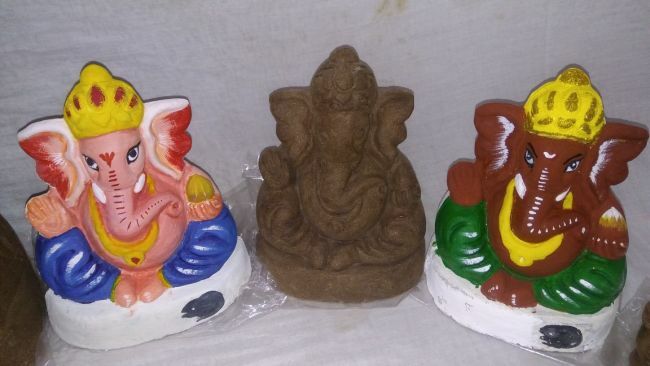 Nilesh sells these idols from his home and offers a wide price range, from Rs. 100 to Rs. 2200. What’s great is that these idols are also light-weight. 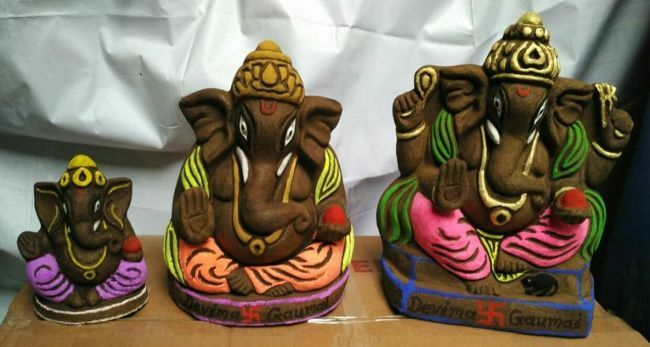 Till now Nilesh has sold over 10,000 eco-friendly idols across Maharashtra. The idols which I am selling are not only eco-friendly but also cost effective in comparison with Plaster of Paris idols. 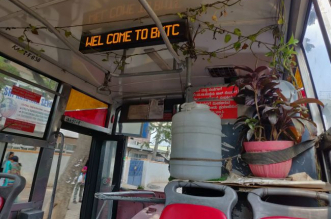 This is my way to solve three important things in life – by buying cow dung I will help farmers make more money, secondly, these green murtis will save our depleting environment and thirdly it will spread happiness among people, Nilesh signs off. 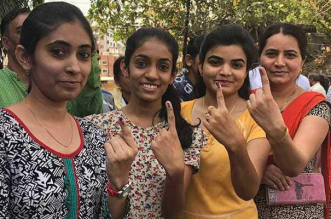 Last year, even Prime Minister Narendra Modi asked people not to pollute water bodies during festivals and suggested that people should opt for idols that are eco-friendly instead of Plaster of Paris. The idols made from Plaster of Paris are non-biodegradable, these continue to float on the water bodies for thousands and thousands of years thereby polluting the water. Not to forget the colours used to make those idols that have chemical and heavy-metal content. 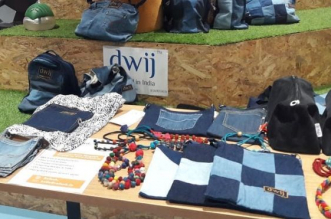 Nilesh has started a fight to save the water bodies by making eco-friendly idols, the swachh crusader is doing his bit, it is time for people to make this green switch.